For many in the eastern United States the area of Maine that is most familar is the southern Maine region known as the Maine Beaches. The sandy beaches stretching across 30 miles of coastline have made this jewel of Maine a favorite of vacation visitors for many decades. 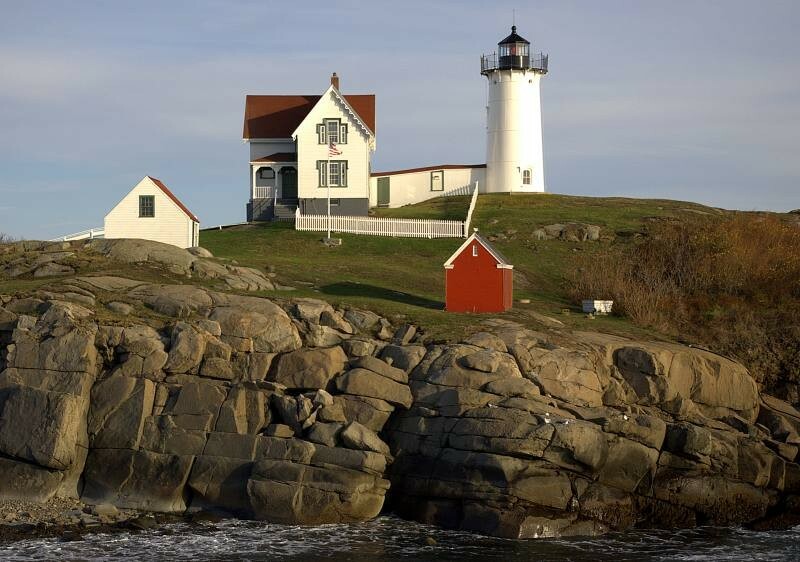 Beginning only little more than an hour’s drive north from Boston, or an hour east of Manchester, New Hampshire, the region encompasses the outlet malls of Kittery, the beaches and coves of York and York Beach, Wells, Kennebunk and Kennebunkport, Ogunquit and Old Orchard Beach. Detailed information on lodging, restaurants and activities can be found at the Maine Beaches Association website, the Maine Tourism website, or the State of Maine’s tourism website. Among the well-known attractions are the Ogunquit Playhouse, celebrating 75 years of Broadway at the beach, and the Seashore Trolley Museum. The Yorks are home to Cape Neddick Lighthouse (the Nubble) and When Pigs Fly, bakers of exquisite breads. US-1 is a two-lane highway that runs from the Southern border of Maine, directly up through the towns of the Maine Beaches region. All along it you’ll find antique shops, outlet centers and one-of-a-kind shops, as well as restaurants, including the historic Maine Diner, Bed & Breakfasts, hotels and motels, and many other things. Lodging recommendations can be found at the Maine Innkeepers website, the Maine tourism sites mentioned above, or the Chamber of Commerce sites of any of the towns mentioned – all linked in the regional site. Even for the experienced visitor, there’s more to Maine! This is an excellent blog post; I think there’s some excellent information here. Just a small piece of advice, if your looking for accommodation in the York area Take a look at this website, it lists 1000s of hotels and bed and breakfasts. I’ve used it lots of times and it always seems to deliver.